An Accra High Court has awarded a fine of one million, five hundred thousand Ghana cedis (Ghc 1,500.000) against former Member of Parliament for Salaga South Ibrahim DeyAlhassan for making a defamatory statement against former National Security Advisor, Alhaji Baba Kamara. Alhaji Baba Kamara on March 20, 2017, commenced a Court action against the former MP seeking damages to the sum of Ghc 20,000.00 and a perpetual injunction on the former lawmaker from further making such defamatory statements. 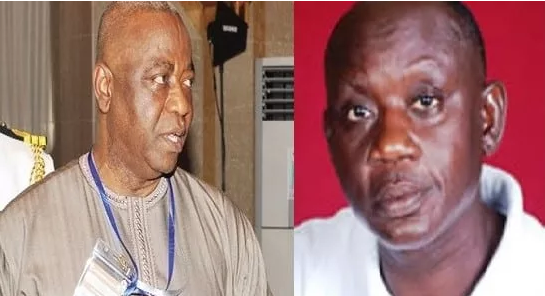 The court however after going through the full trial on April 5, 2019 found Ibrahim Dey liable for the offense with the intention of damaging the reputation of the former National Security Advisor, Senior Presidential Advisor, High Commissioner and International Businessman. The court has therefore ordered him to pay compensation in the sum of Ghc 1,500.000 to Alhaji Baba Kamara as well as the cost of Ghc 5,000.